One of my faults about food is coming to a decision much too quickly — even before getting to the final destination. This was just one of those times. Now, I love me some Honeybaked Ham at the holidays. I’ll be hovering over that pork carcass peeling off the sugary coating and licking my fingers of its savory juices. The leftovers are perfect for omelettes and sandwiches in the following days. The Honeybaked Ham Store runs Sweet Clove Sunshine Cafe in Columbus, Ohio. This sit-down restaurant churns out hearty breakfast sandwiches, towering pancakes and mouth-watering good eggs benedicts. 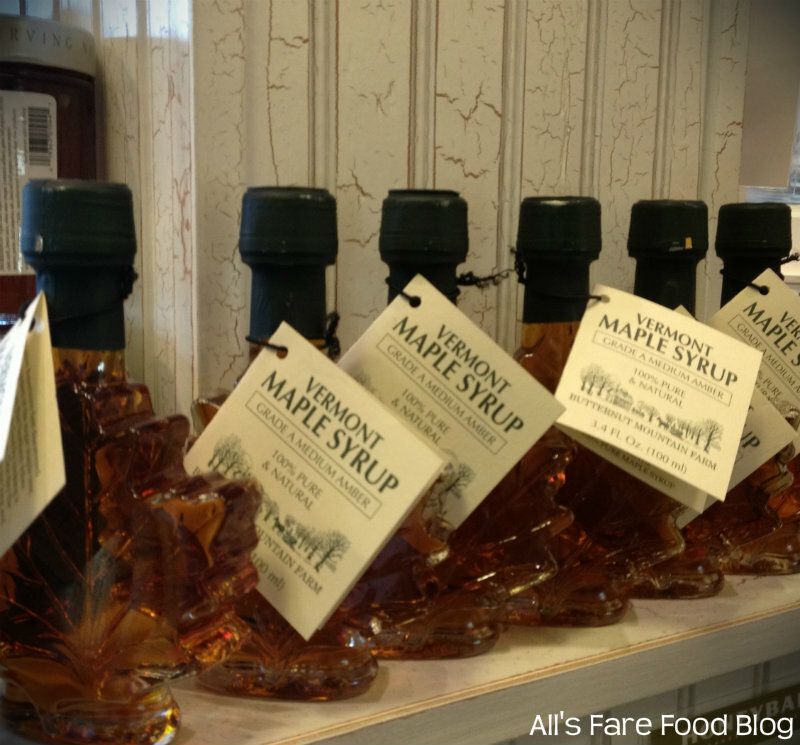 The waiting area of the restaurant is the standard Honeybaked Ham Store but packed with some other goodies, like maple syrup from Vermont and frozen side dishes. 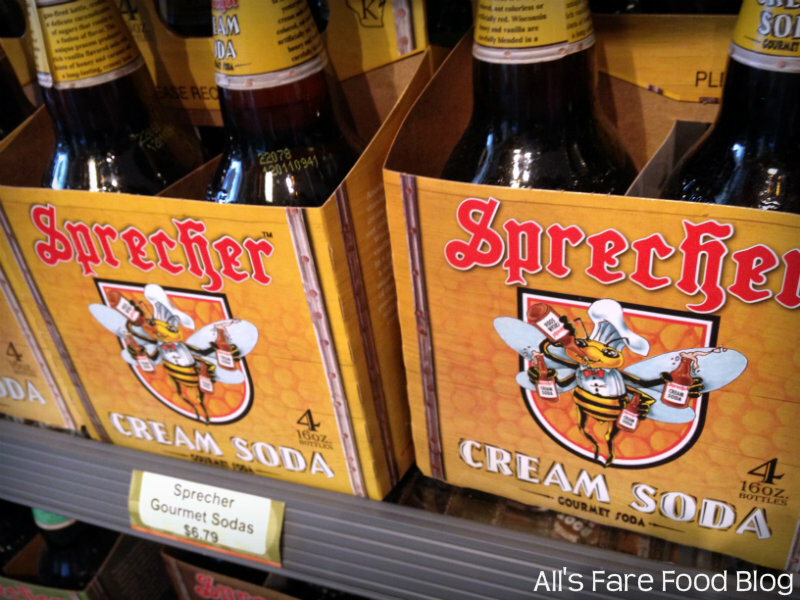 How can I not approve of a place that sells Milwaukee’s own Sprecher sodas?!? Four-packs of soda are available for less than $7. The cafe’s seating area is open and sunny. 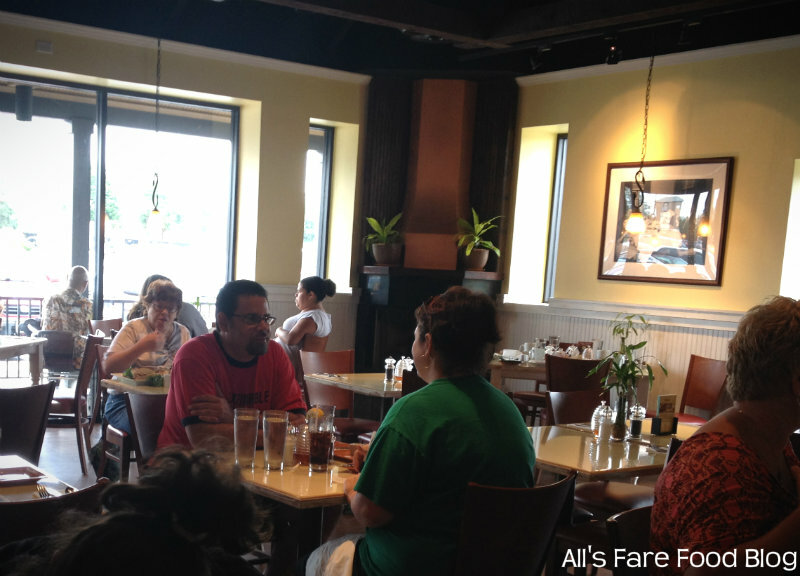 There were plenty of happy groups of customers waiting for breakfast. 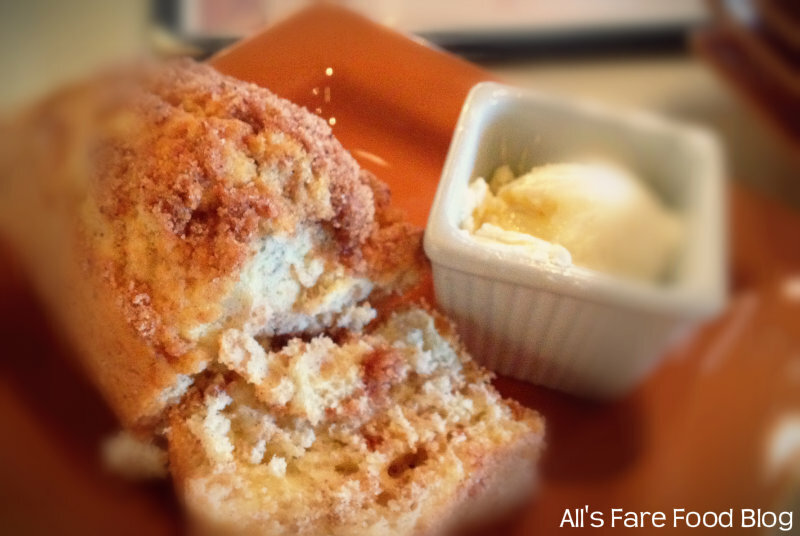 Each table starts off with a mini loaf of a crumb cake served with a side of whipped maple honey butter. The bread was a bit too crumbly but had a nice cinnamon flavor to it. We were a party of four and the mini loaf didn’t provide us with a lot to go around. 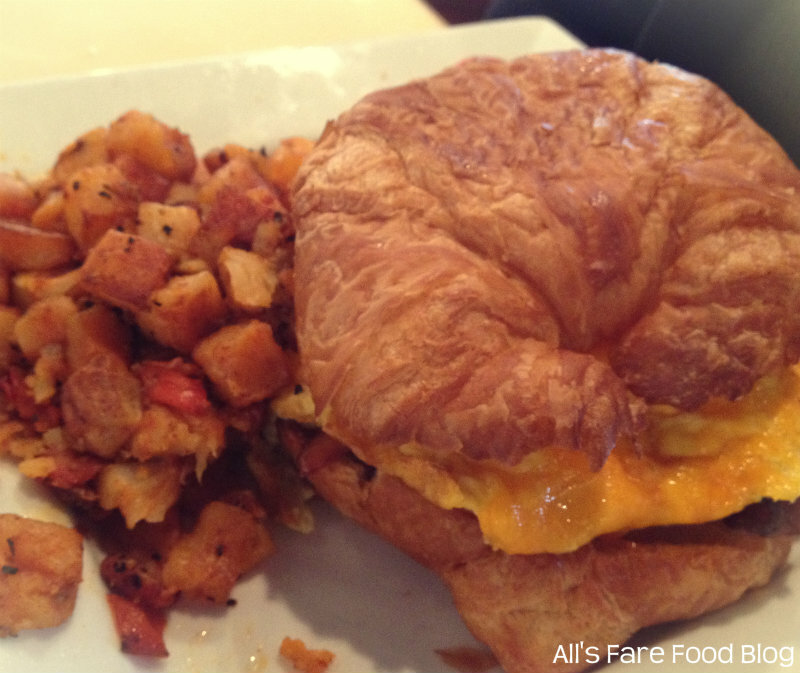 The “Legendary Breakfast Sandwich” serves up an egg souffle, cheddar cheese and your choice of Honeybaked Ham, bacon or turkey on a croissant. It’s served with oven-roasted home fried potatoes or fresh fruit. 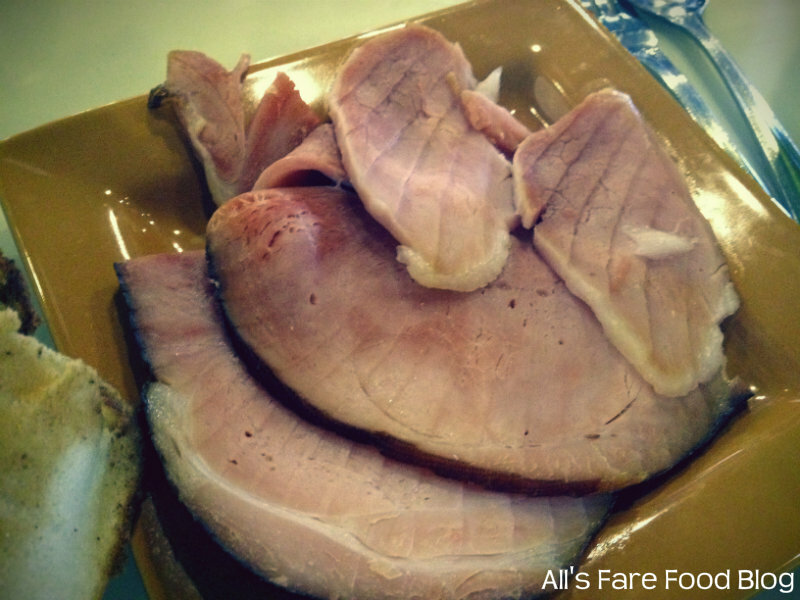 You can’t order breakfast without a hefty side of Honeybaked Ham for just $2.50. These hearty pancakes are made with buttermilk and then fresh apples, brown sugar and cinnamon. This was just an enormous mound of carbs! 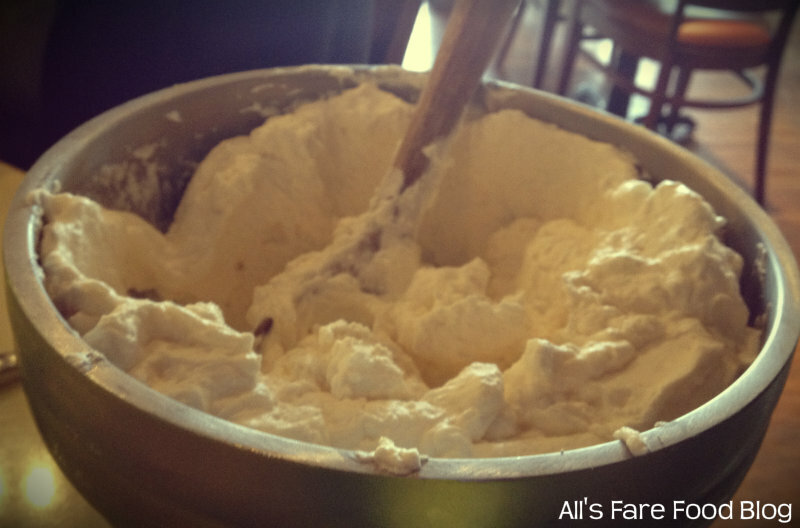 But, those towering pancakes aren’t complete without the fresh whipped cream that comes out with it! Your server scoops out the dairy delight tableside. No need for syrup. 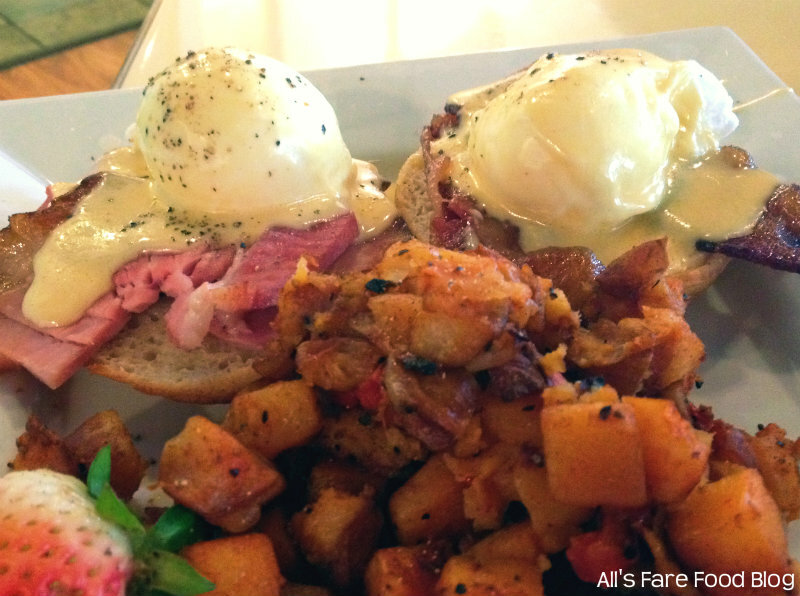 Now, hands down the winner at this meal was Brett’s signature Ham and Eggs Benedict. The fluffy English muffin was topped with thick slices of Honeybaked Ham, poached eggs and an awesome lemony Hollandaise sauce. The side order of potatoes was just perfect to sop up the mixture of leftover Hollandaise and egg yolk. 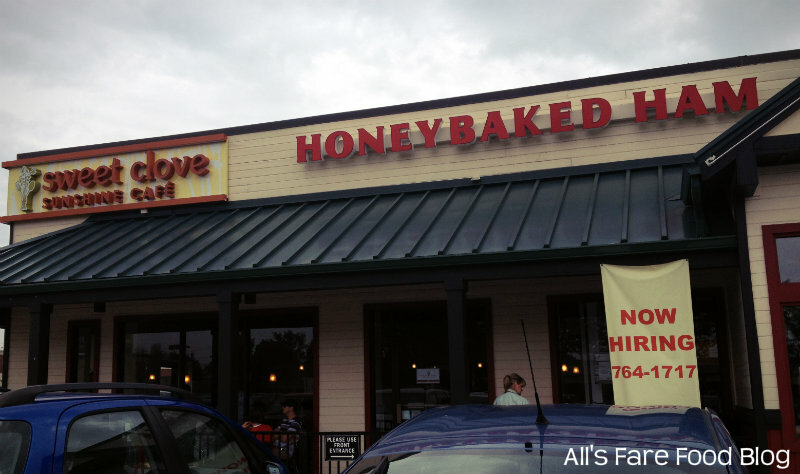 Next time someone tells me we’re going to eat at the Honeybaked Ham Store, I’m going to jump for joy. I can’t wait to try this place again. I really hope they open more of these locations across the country soon. 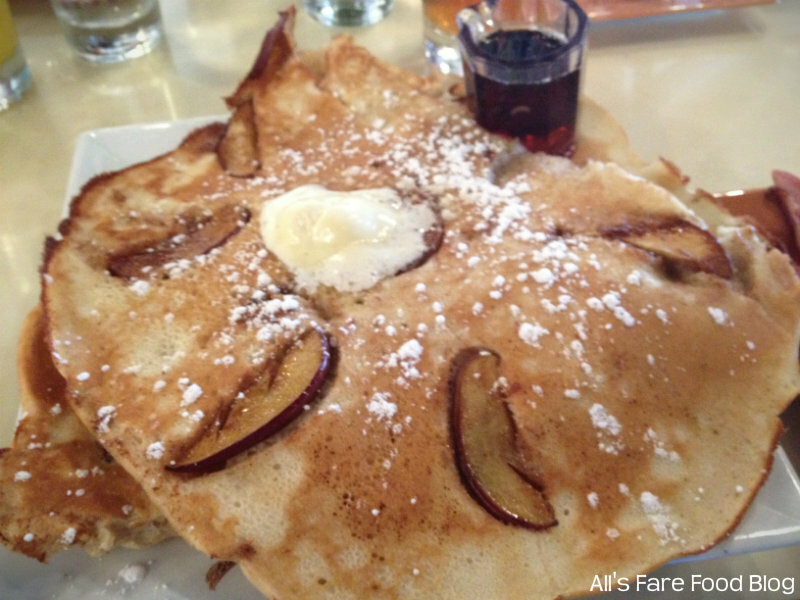 This entry was posted in Cuisine - American and tagged breakfast, Columbus, eggs, Honey Baked Ham Company, Ohio, pancakes, restaurant, reviews, Sprecher, Sweet Clove, syrup by Christina. Bookmark the permalink.